Ma's e-commerce giant in January launched a multimillion-dollar partnership until 2028 with the International Olympic Committee (IOC) designed to propel the Olympics headlong into the digital era. The deal was particularly significant with the 2022 Winter Olympics taking place on Alibaba's home turf of China, and with firms from the country becoming increasingly prominent in sponsoring major global sports tournaments. Alibaba became the cloud-services and e-commerce partner for the Olympics, starting with the current Pyeongchang Winter Games in South Korea, effectively charged with helping the IOC modernise, run smoother and reach its ideal of saving money. 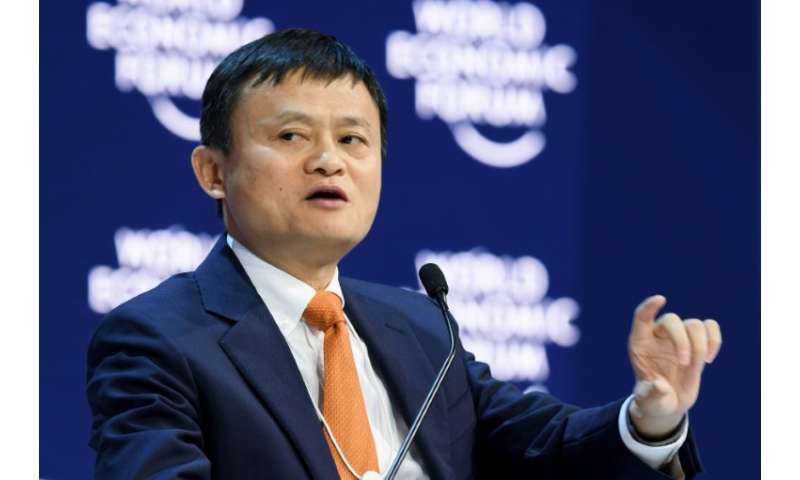 Speaking on the sidelines of the Olympics on Saturday, a day after the official opening, the charismatic Ma said that Alibaba would be taking the experience from South Korea to help improve Tokyo 2020 and particularly Beijing 2022. "President Bach had a vision. He said that the Olympics should be for the next stage—more people, more fans, better sports," said Ma, seated next to IOC chief Thomas Bach and with Chinese former NBA star Yao Ming among the dignitaries. "We will start from here and then we will do more things at the Tokyo Olympics and then in Beijing, probably what we will launch will be even better." Speaking at the official opening of Alibaba's showcase suite in the Olympic Park, Ma added: "What you see today, most of the things will be realised in Beijing and we want to enable host cities to be much more cost-effective and much more economic." Ma said that fans and competitors would also benefit from advances in technology. Bach gave the example of athletes from minor nations being able to milk data to nail down exactly where they need to catch up the rest—and that would make it better for the crowd too, he said. "We want to enable athletes to do better in their competitions, help them compete well and train well," pledged Ma. "We want to enable fans so they can learn and communicate directly to the athletes they love and more people can get involved. "If someone has an idea, technology can make it happen."